Jade Beach Condo Offers Both Rent and Sale Options - Which One You to Go? Jade Beach Condo Offers Both Rent and Sale Options – Which One You to Go? 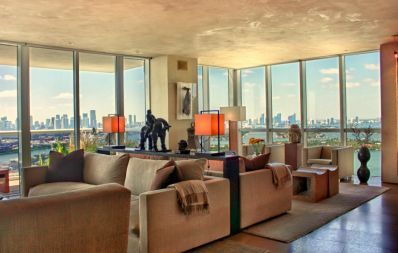 Jade Beach Condo in Sunny Isles Beach, Florida presents a unique opportunity to experience the luxury accommodations by renting a unit in the building. Rentals are available throughout the season but for a minimum period of 6 months. Located in Sunny Isles Beach, Jade Beach Condos bring together everything that can amaze you. This 51-story ocean view tower contains 248 condos and each of them has different and bright story to tell. What is common to all of them is they all have ocean view. Whether single bedroom unit or a unit of six, residents of them could view the ocean clearly. Size of those varying bedroom units ranges from 1000 to over 8200 square feet. Jade Beach Condos can be excellent choice of you for rent or purchase purpose for all practical reasons. Stepping into condo will give you a sense of assurance for the best luxury living this world has to offer. As you step in the Jade Beach Condo, you will get a feel of special treat. These condos will be having an environment that an all-star resort usually does have. You will see inside an ‘intelligent home’ wired unit with many capabilities from advanced technology. From touch screen units available within to syncing them all with external devices through smart phone or tablets that delegate control over a variety of functions and services, residents of Jade Beach Condos get an opportunity of living in a world of luxuries. Jade Beach Condo for rent offer controls over room lighting and dimming, audio controls, concierge services and valet requests, which are just a couple things which you will can enjoy during your stay here at Jade Beach Condo. There are many people who want to live in Sunny Isles but are not ready to buy a home there. They may be evaluating the area to determine if this place will be right for their family. They could be living here presently for some work and they may only need to be in the area for a few months. Is this a situation you are in right now? Then, this Jade Beach Condo for rent option will be right for you. 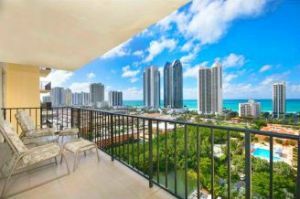 People who have come here for work choose location of Jade Beach Condo, because it is just a short distance from Miami and from Fort Lauderdale. The distance makes it easy to commute to both of these areas very quickly. The building also happens to be close to the beaches as well as shopping and dining, which all sum up this place to be ideal to live or even to rent for a vacation. While living at Jade Beach Condo for some time, you can also go for the option to purchase a unit provided you get Jade Beach Condo for sale offer. To put it short, Jade Beach Condo is the perfect place to live a life of luxury, and that you can truly term as a magnificent ocean side castle.